Sometimes, when you run a site like this, games you never would have known to look for find their way to you. Such is the case with Book of Unwritten Tales. 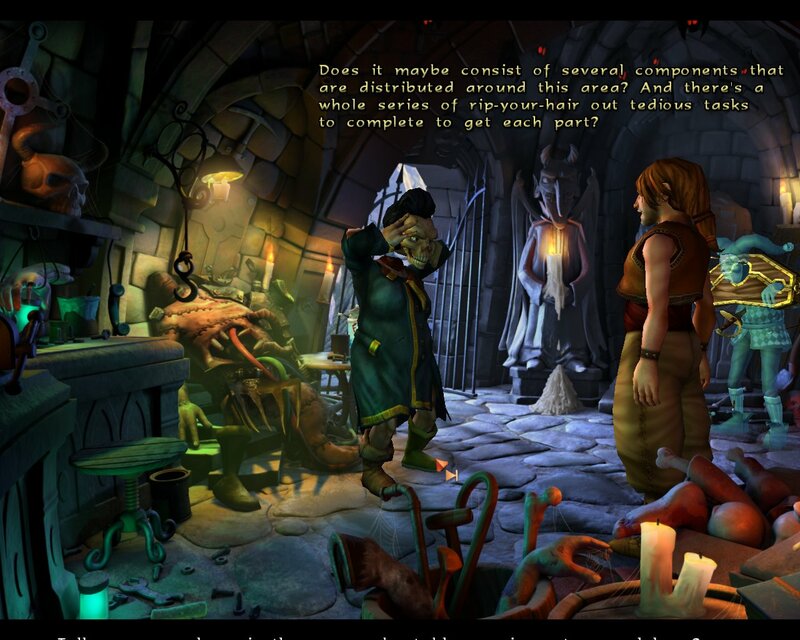 This game, a point and click adventure game from KING Art Games, wasn’t even on my radar when I first got a message asking if I wanted to cover it. Since then, every new glimpse and taste has made me hungrier for the main course. Well, I finally got my chance to play through it, and it did not disappoint. I’m tempted to save myself the thousand words, and just let the pictures speak for themselves. I mean, look at what this game has to offer. The thing that most stood out to me about this game’s visuals, though, was the way that the pre-rendered back grounds and polygonal elements blend together so perfectly. In most games that use such a visual method, the characters and backgrounds aren’t even close, but great care was clearly given in BoUT to match the character to its surroundings. 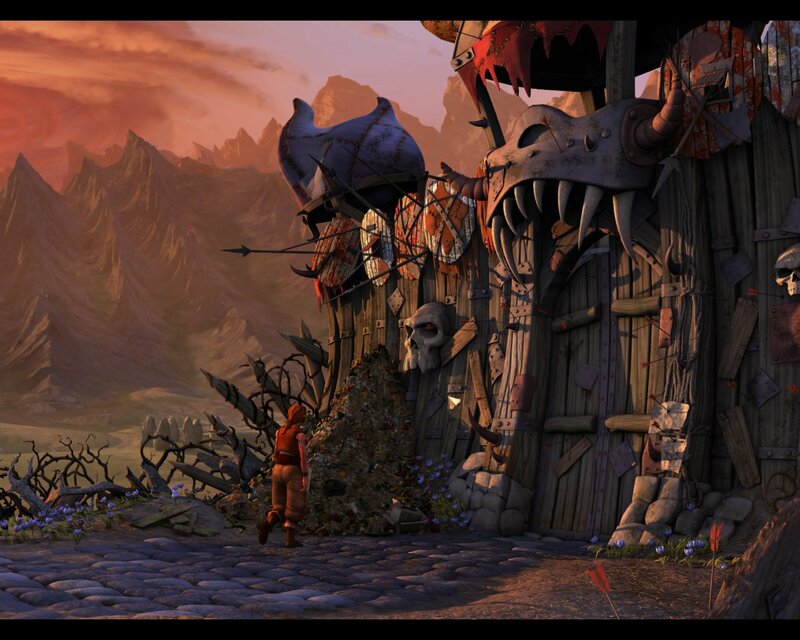 The result is a game that looks almost as though it is being rendered with cinematic quality visuals in real time. That would take a powerhouse of a PC, though. As it is, I played this game through to completion on a lowly Core i3 with integrated graphics, and still didn’t see the frame rate drop below 85, even on high graphical detail. 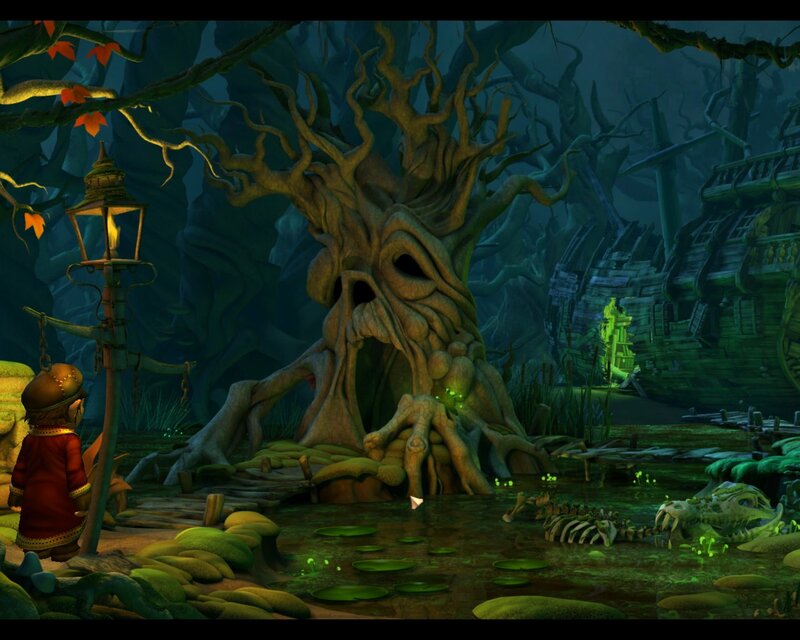 With the graphics at that setting, you’ll be treated to lighting effects that paint both background and character alike. If the graphics have a weakness, and it is a minor one, it would be certain animations. Character’s lips synch with their words, and their facial expression shifts to fit their attitude, but the change from pleasantly calm to scowling and back again is sudden, and isn’t always accompanied by a matching tone of voice. There is also at least one character who, due to her size and complexity, had to be treated as part of the environment, and thus didn’t get the same level of animation, but an attempt is made regardless. Considering the fact that most games wouldn’t have bothered to mix up the facial expressions or animate over-sized characters at all, it seems silly to fault BoUT for trying to go the extra mile and not quite making it. There is an item in this scene that I forgot to collect. Can you find it? OF COURSE YOU CAN'T! 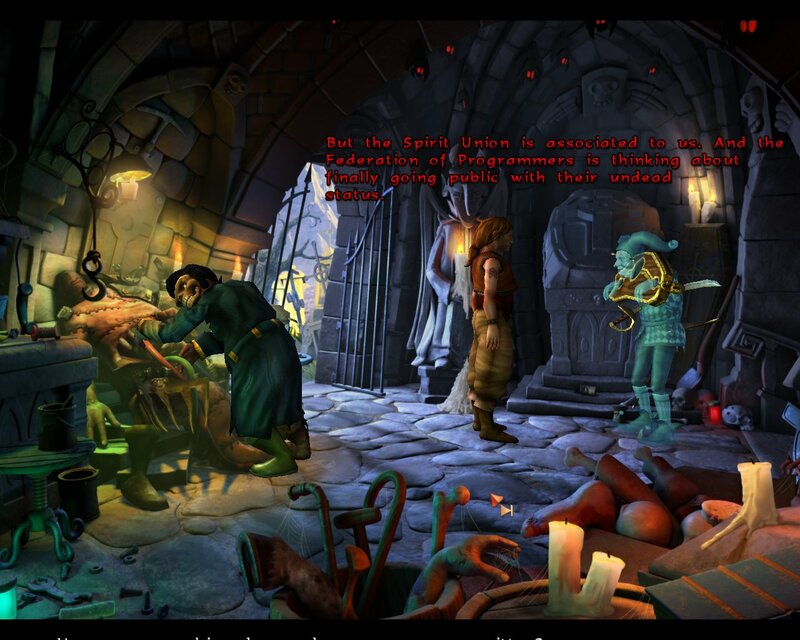 Book of Unwritten Tales, as I’ve mentioned, is a point and click adventure game in the classic style. It is broken into five chapters, and each is itself broken into a handful of key tasks. 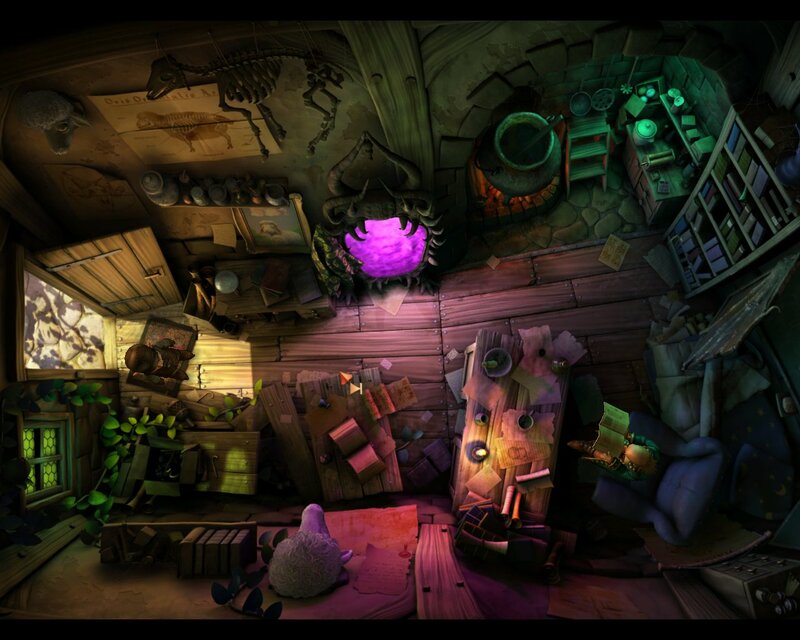 You must search your environment for items that can be combined, traded, or applied to solve puzzles. 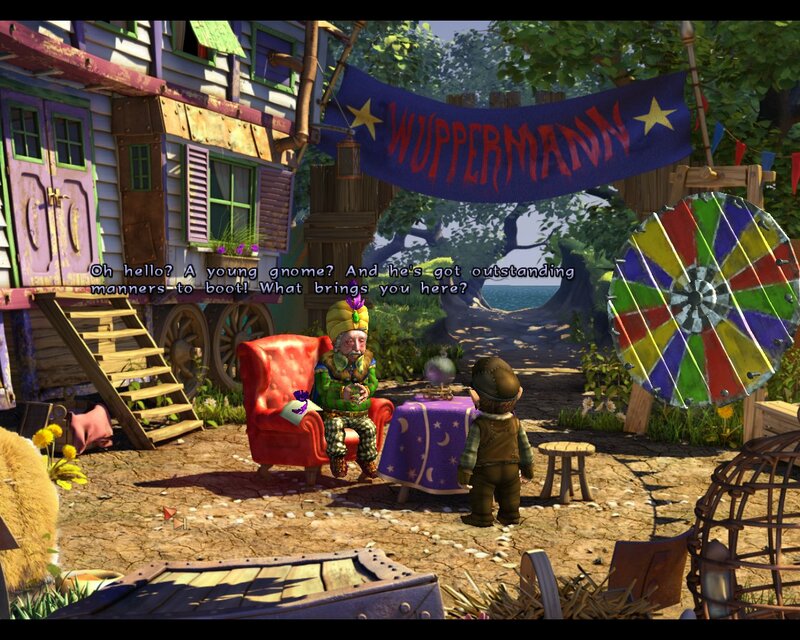 In addition, the characters you encounter can be spoken to to learn new information or receive new items or puzzles. Much (dare I say, most) of the game will be spent scouring your environment for items and thinking well outside the box for the proper way to apply them. 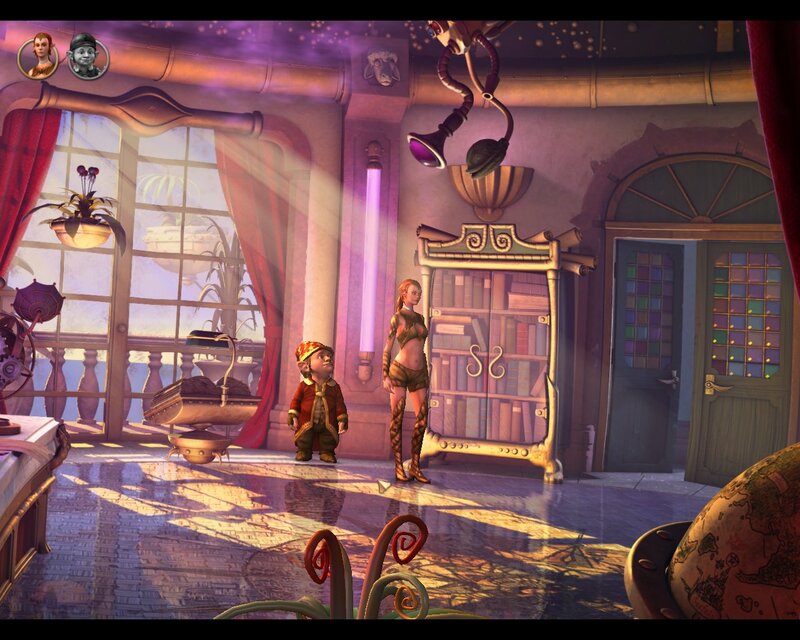 An adventure game is only as good as its puzzles, and this game has some extremely well crafted ones. The objectives are always made clear, and if you ever forget, the person you are attempting to aid is always quick to remind you. Over the course of the game you’ll find a way to legitimately win a statistically daunting game of chance, win games of strength and speed against a vastly superior opponent, and defeat a massive troll with only found items. In a clever twist, items often have multiple uses, even to the point of allowing or requiring you to swap a specific object into and out of a certain combination depending on the puzzle at hand. Better yet, you’ll have access to sometimes two or three characters, each with different levels of access, skills, and opportunities. 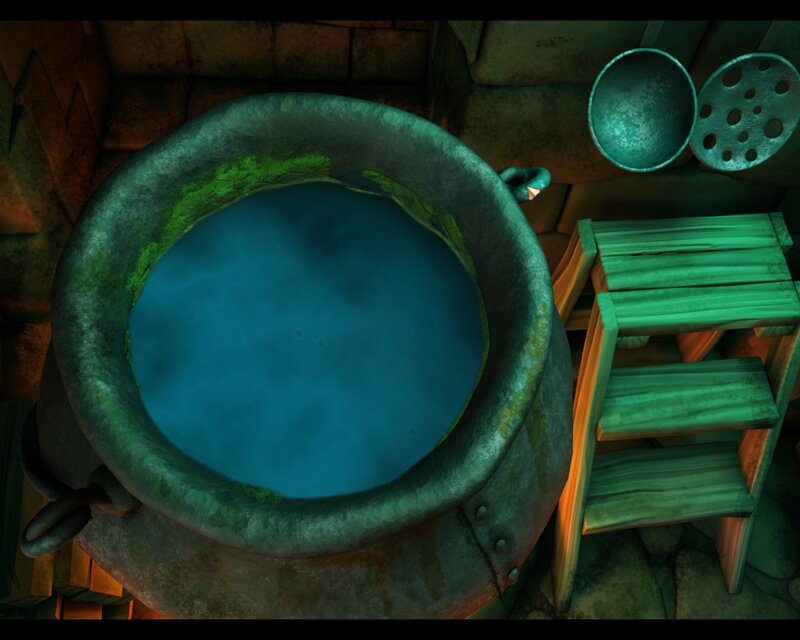 There are even scattered mini-games that take you far from the point and click roots of the game, including precisely crafting a potion, infuriating the gods through the power of dance, and the tiniest hint of a stealth game. This blew up in my face a dozen times or so. Through the whole process, I couldn’t help but marvel at how streamlined the gameplay was. Every time I ran into an aspect of the game that seemed tedious or repetitive, I found that it wasn’t actually necessary. Map items are provided to keep you from traipsing back and forth about the expansive settings, allowing quick-travel instead. At one point a pair of items must be used one after the other in order to gain access to an area that you will need to reach repeatedly. I got sick of applying them each and every time, then discovered that, having done so once, I could simply click the entrance again to be allowed in. Even the aforementioned potion game, which kept blowing up in my face and requiring me to start over when I miscounted a certain number of stirs, eventually turned out to have a clear visual cue that I simply hadn’t noticed the first few times. Yes, every aspect of the game that could be considered frustrating or tedious has been carefully smoothed out… except one. 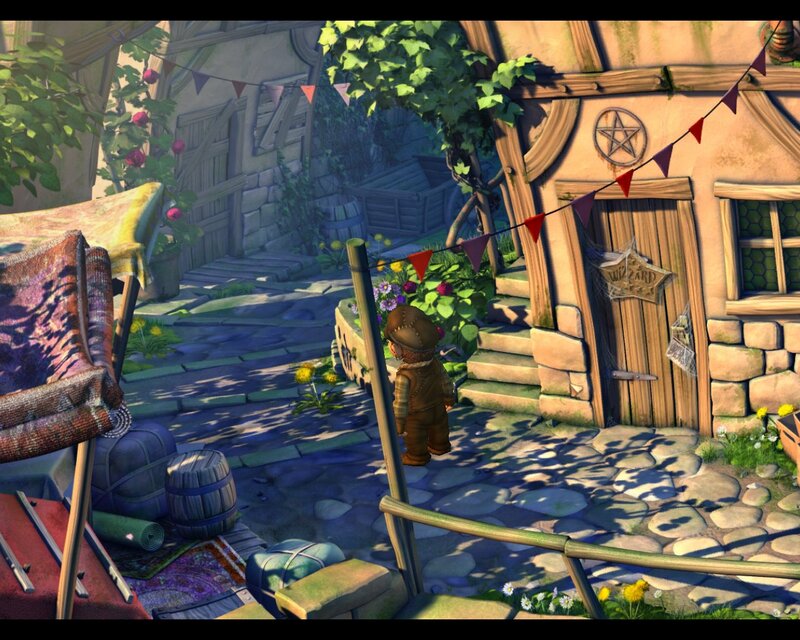 Without fail, whenever I was stuck for any period of time, it was because I had missed an unassuming, out of the way object tucked away into the staggeringly detailed environments. They are often just a few active pixels over a minor detail that could easily have been simply for show; a scrap of leather here, a pile of pebbles there. It is the one point of the game in which the level of detail works against it. I suppose if everything was glaringly obvious, the game would have been no fun or no challenge, but there are a few hours of careful mouse sweeping during which I was sorely tempted to consult a walkthrough. Like virtually every other element of this game, the audio is superb. The music perfectly fits the tone of the given settings, and appears to be fully orchestrated. This being a translation, one would almost expect the voice work to be sub-par, the bare minimum necessary to complete the game. Such is certainly not the case. 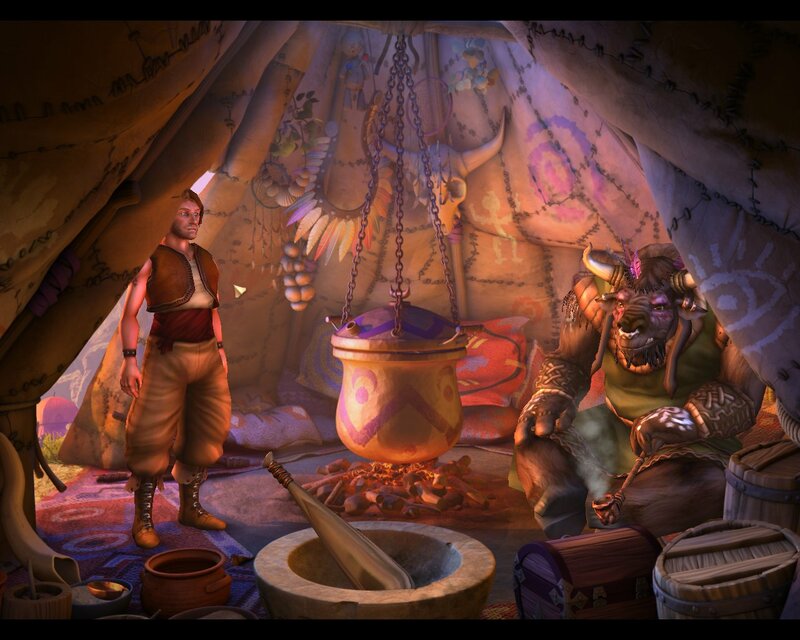 Each character and every line of dialog is spoken with talent and personality. The aspiring gnome mage is idealistic and naive, the elf princess is bright and adventurous, and the devious rogue is arrogant and sarcastic. Even side characters are unique and memorable, from a bitter mage who slowly comes around to a swashbuckling rodent who speaks like Antonio Banderas with a lisp, and even the grim reaper himself, each is voice consistently and with excellent casting. 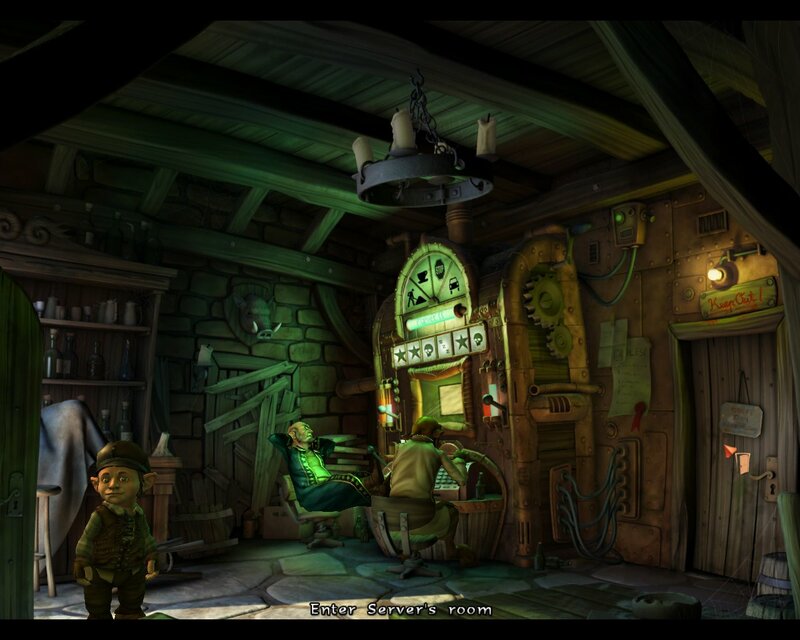 Here and there, a minor inflection choice seems to come off a bit wrong, particularly with Wilbur, the gnome, but I’ve had enough similar gripes with other games, I’m beginning to think that I’m just imagining it. The story begins with a gremlin archeologist writing in his journal about his latest discovery, an item of profound, world changing power. At that precise moment, he is discovered by the forces of darkness and whisked away. 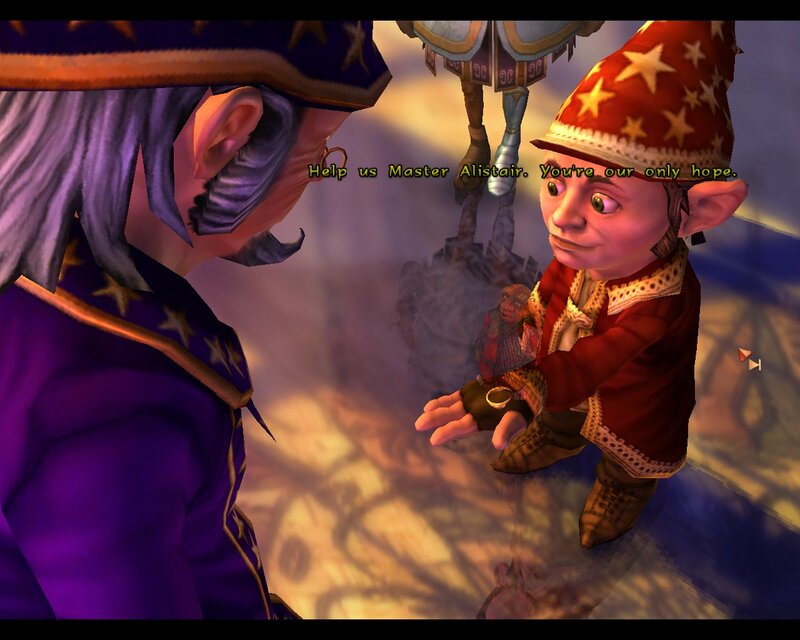 In his journey into their clutches, he is able to contact Princes Ivo, a wood elf, and Wilbur Weathervane, a gnome. Each is entrusted with an item necessary to the discovery and acquisition of the item, and told to bring them to the one man wise enough to use them correctly, the Arch-Mage. That would have been more than enough story to justify the adventure, but as you play, you will learn that the entirety of the world is crafted to give the tale weight. 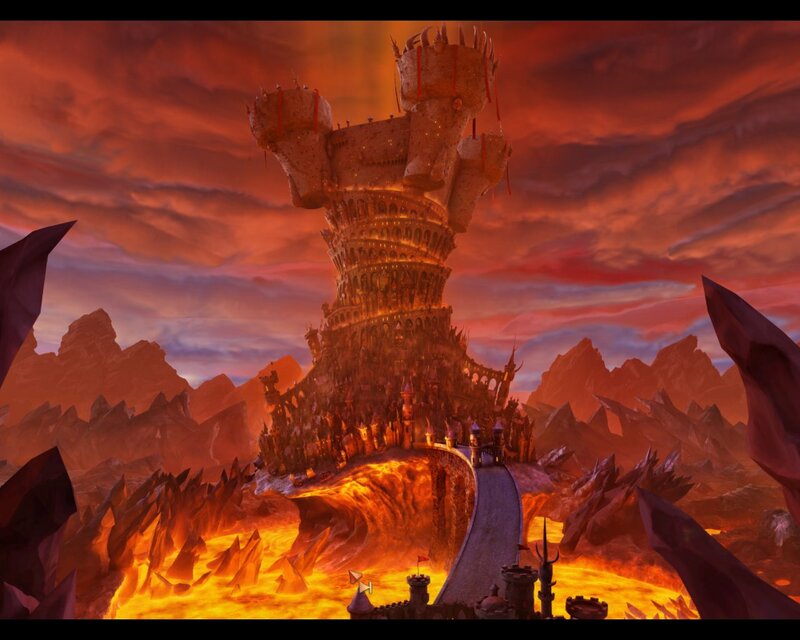 A war has been raging between humans, gnomes, dwarfs, shades, and orcs. 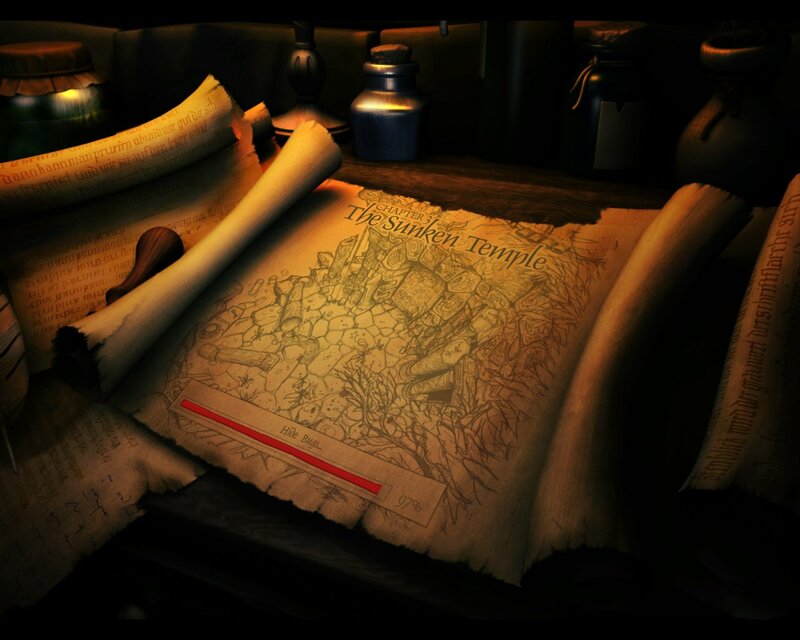 There are undead, ogres, satyrs, and an entire world map, each fleshed out with back stories and details. Just about everything has an explanation, and for those things that don’t, the characters themselves assume it to be magic. And that’s the other thing. Mixed with these expertly crafted story lines and histories are heaps of self referential humor. The video game rule of three, in which virtually every step of the journey will require a trio of tasks to accomplish it, is quickly identified by the characters themselves. Jokes are made about localization errors, zombie-like programmers, extending playtime, and even consulting a walk through. 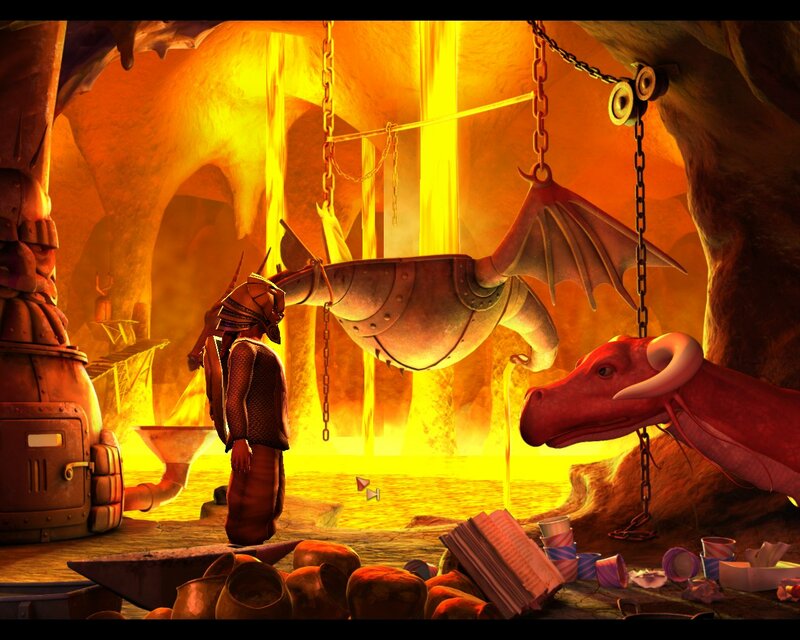 This game references everything from World of Warcraft and Magic the Gathering to Discworld and Lord of the Rings. 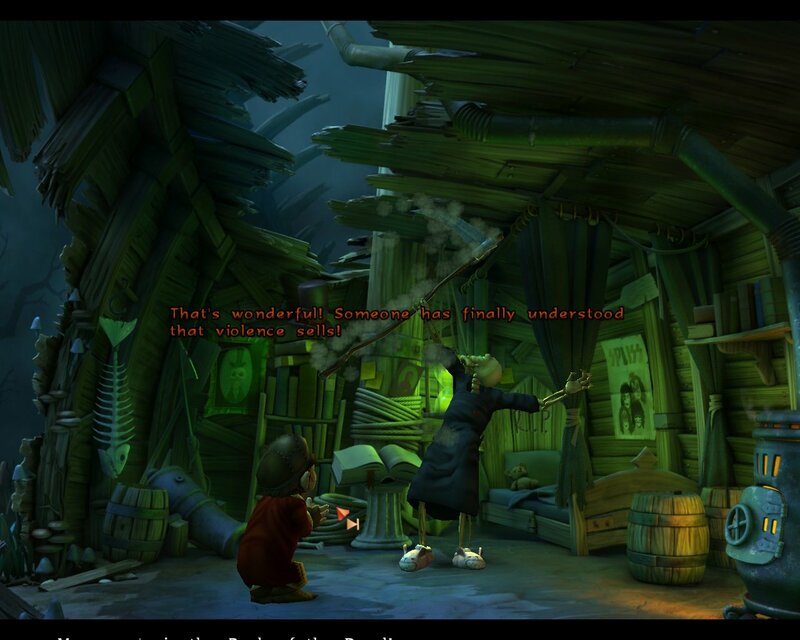 It is common to see a game that develops a deep and detailed world, and it is common to see a game piled high with pop culture references and puns. What is not common is to find a game that manages to mix them both together so well. The story remains interesting throughout, by the time you reach Chapter 5, which has a very entertaining twist, you’ll be well prepared for the short but satisfying ending cinematic that follows it. Just be sure to stick around to the end of the credits for the stinger. 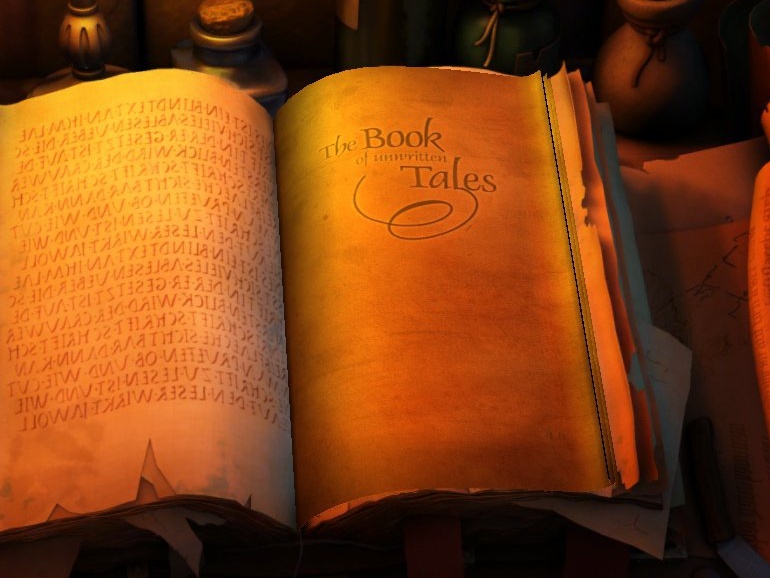 In its initial release, Book of Unwritten Tales was compared to some of the greatest adventure games in the history of the genre. In my opinion, it is well deserving of the praise. The music, the dialogue, artwork, and the story are all brilliant. Yes, the puzzles can reach the level of frustration at times, if you don’t have an eye for detail, but even this is appropriate for a game that strives so effectively toward the nostalgic adventure games of old. Well done. Check it out at http://www.unwritten-tales.com/ to see for yourself. 9.9 / 10: The most thoroughly masterful combination of humor, gameplay, art, and story I have played in years. There is an item in this scene that I forgot to collect. Can you find it? OF COURSE YOU CAN’T!